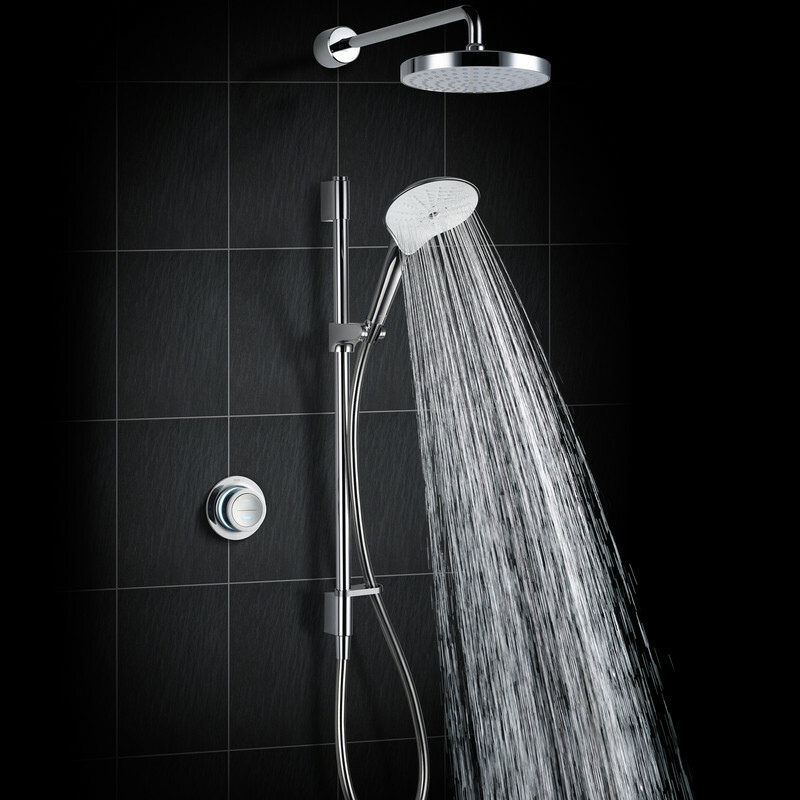 Suitable for low pressure systems only. 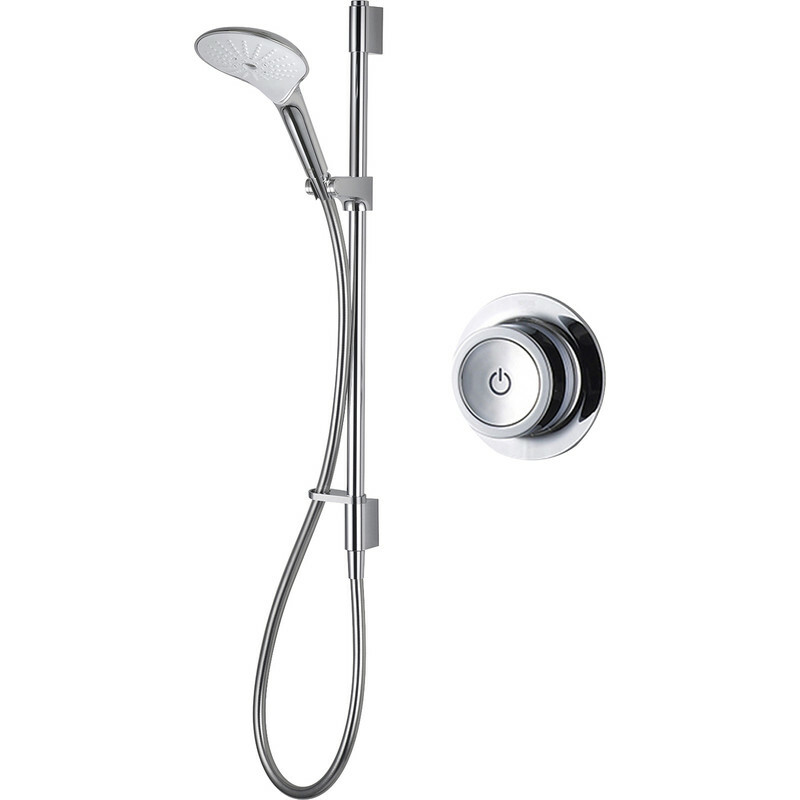 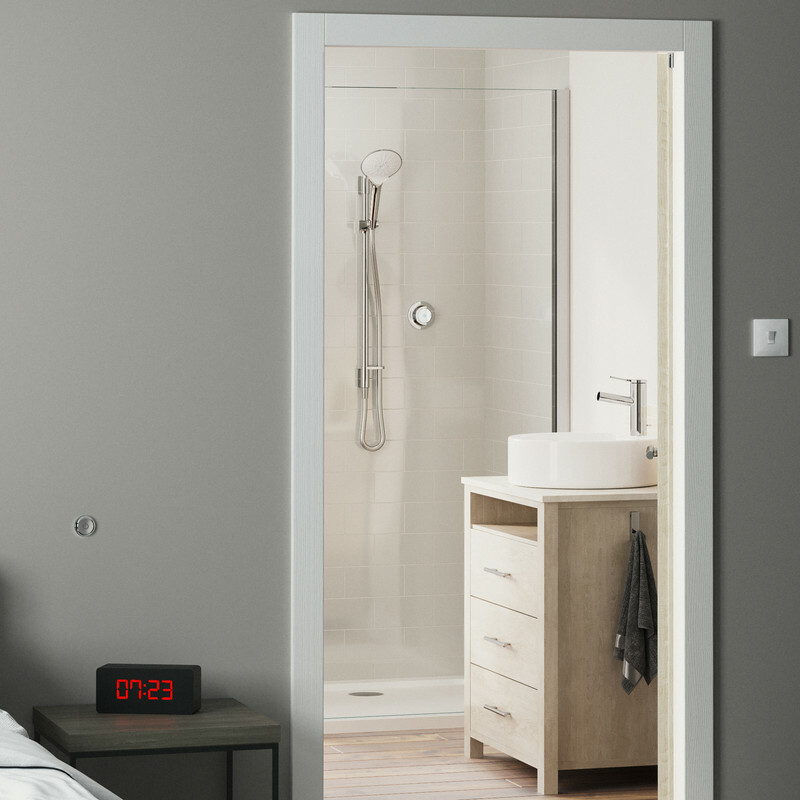 Thermostatic temperature control with adjustable maximum temperature setting. 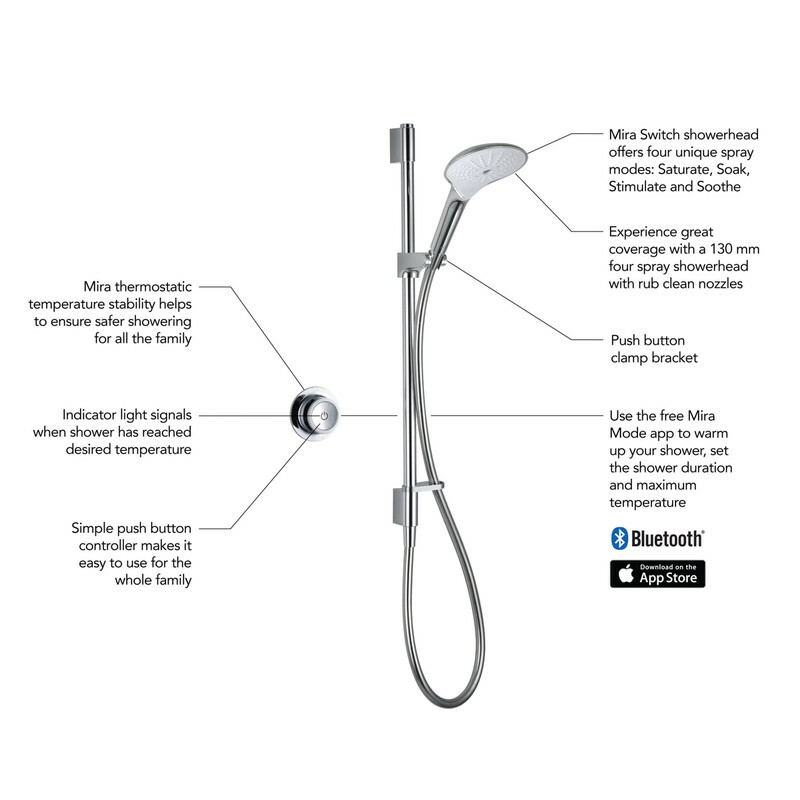 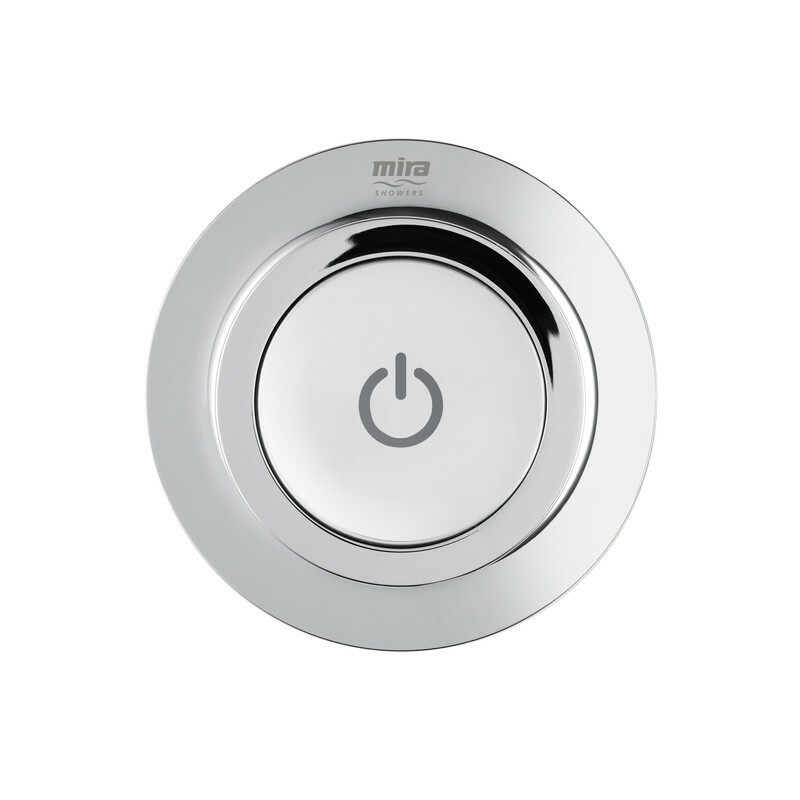 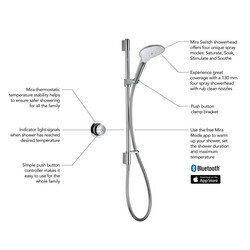 4 spray options with included Mira Switch showerhead. 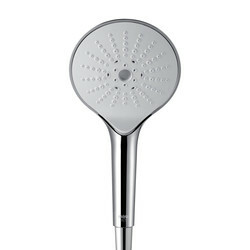 Premium chrome finish, featuring LED lights on the controller. Simple to use push button controller. 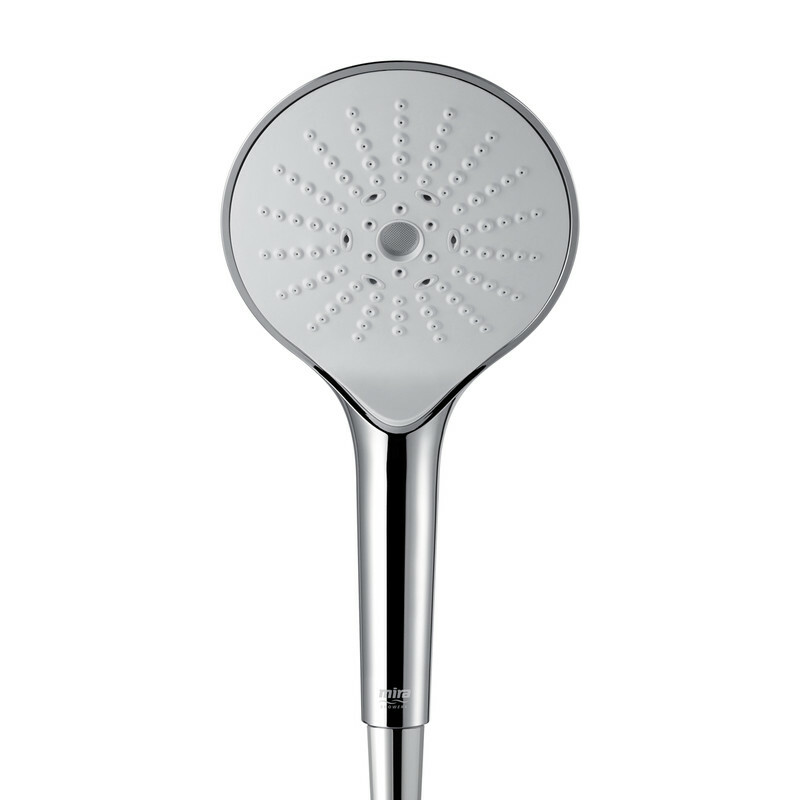 Separate on/off remote control included and can be positioned outside the shower.